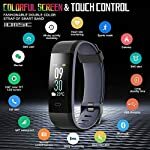 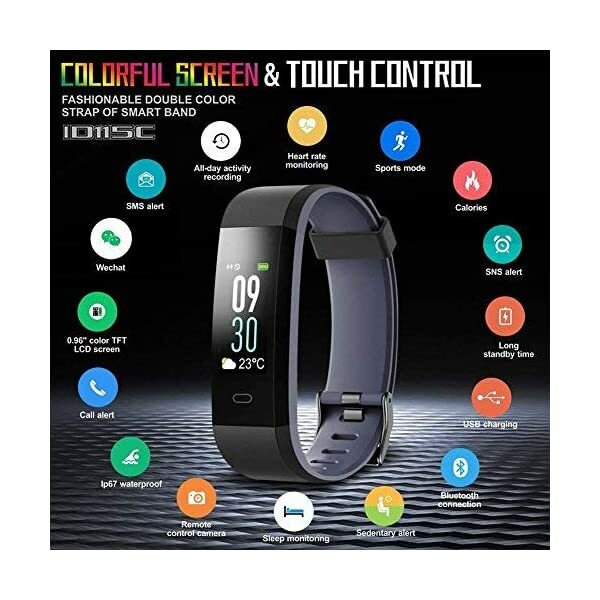 【COLOR SCREEN AND IP68】 The fitness tracker bracelet with 0.96 “color LCD touch screen The brightness of the screen has 5 levels configurable by the app, allows you to see the data of the Fitness Smart Bracelet clearly under the sunlight and avoid dazzling light in dark environments IP68 waterproof (cold water, rain, sweat), its strong resistance to water allows you to swim and take a shower freely for 2 hours and up to 1 meter deep. 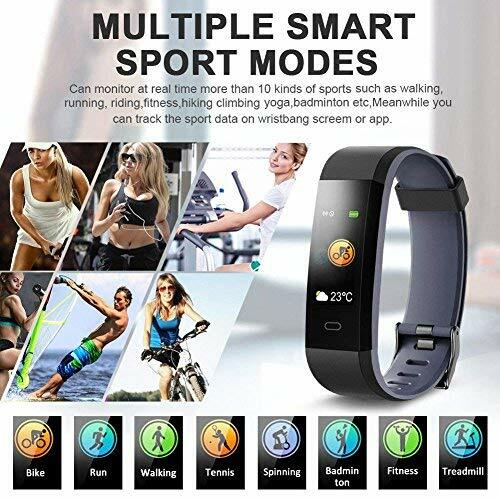 【14 EXERCISE MODE】 – Supports 14 training modes including walking, running, cycling, hiking, fitness, treadmill, basketball, tennis, climbing, badminton, dynamic cycling, yoga, soccer, dancing (Note: only 3 modes displayed on the fitness tracker To change the training mode, please set it on the app). 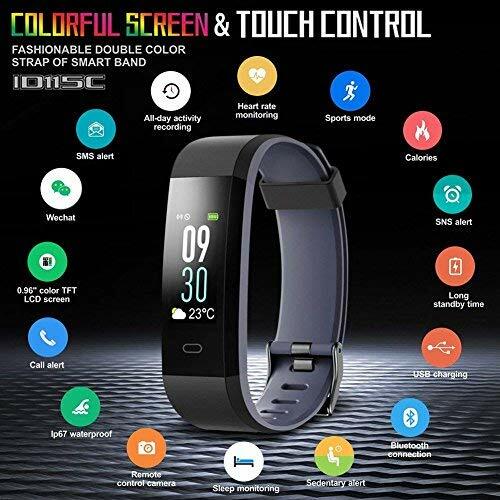 【Notification of Calls and Messages】 Receive vibrato notifications from incoming calls, SMS, calendar notes, e-mails, Facebook, WhatsApp, Twitter, Instagram, Messenger, Linkedin, LINE, VIBER, Skype. 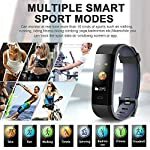 Share your daily exercise data on SNS such as Facebook, Twitter, etc. 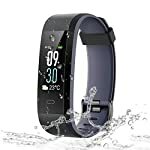 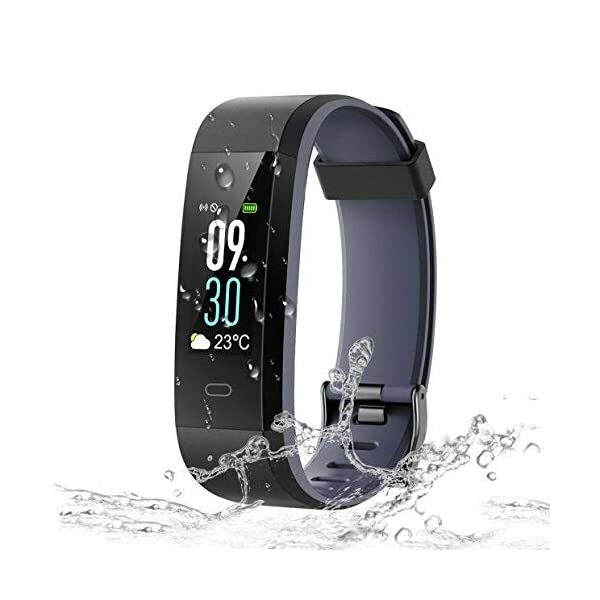 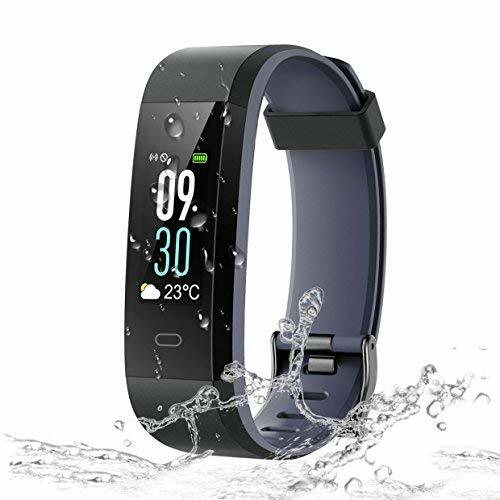 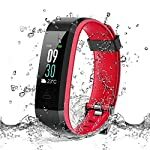 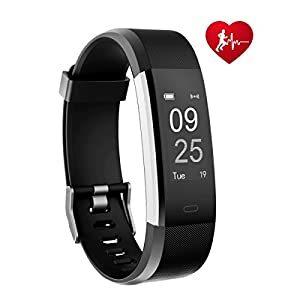 【OTHER FEATURES】 – The fitness tracker supports more accurate heart rate monitoring, distance, speed, calories, sleep monitoring, SMS, SNS messages, sedentary recall, incoming call, alarm, program, remote shutter, weather display and more . 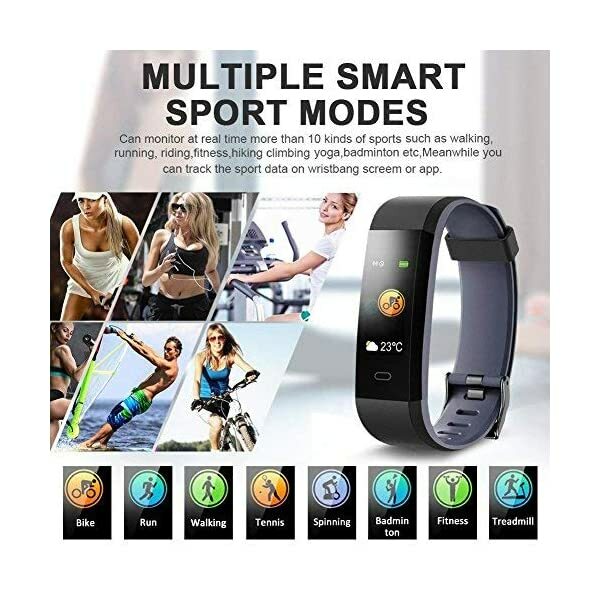 【SIMPLE AND EASY TO LOAD】 Integrated USB connector that can be connected to any universal power adapter, PC or powerbank to charge watch activity tracker. 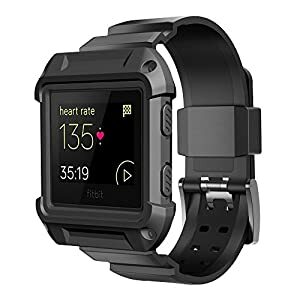 The sports strap is loaded like a USB opendrive that facilitates the need not to bring your charger into the backpack or when traveling when the battery runs down.